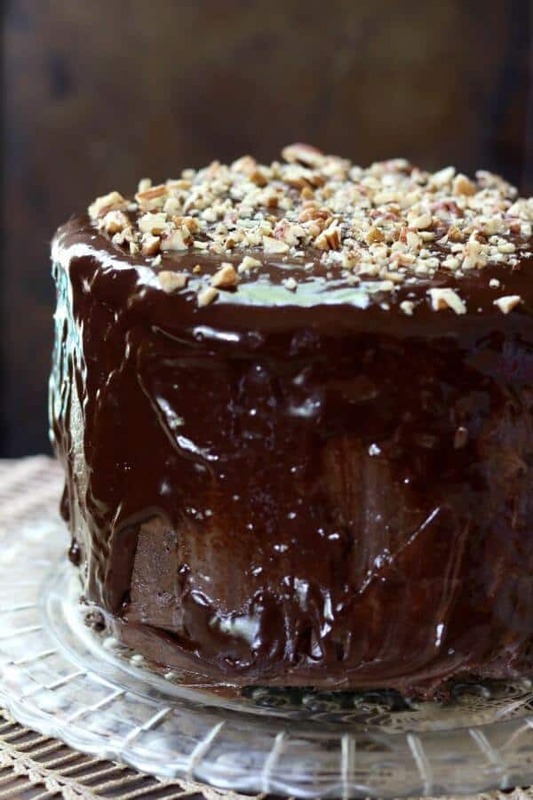 This old fashioned chocolate mayonnaise cake recipe is adapted from the original that was on the back of the Hellman’s Mayonnaise jar back in the early half of the 1900s. 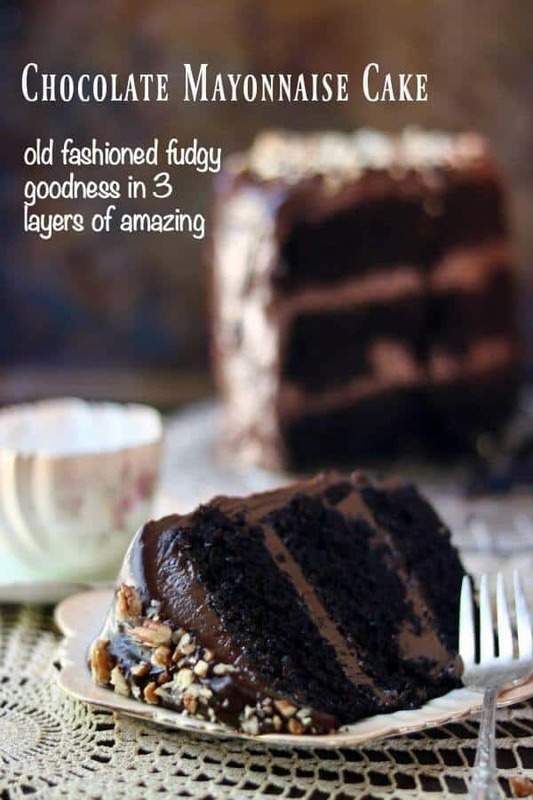 It’s incredible fudgy flavor and super moist texture have made it a favorite for generations. Make it and find out why. Not quite what you’re looking for? Here’s a classic vanilla layer cake. This post has been updated from the original – dated July 2010. Today would have been my dad’s 100th birthday. 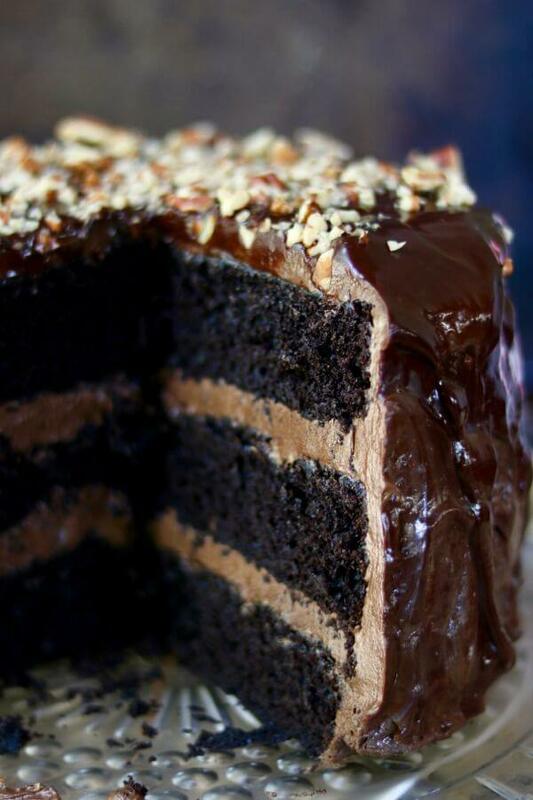 That fact was what controlled the decision about updating this chocolate mayonnaise cake recipe – his favorite cake. My father was not the best husband to my mother, he was not the nicest person to other people. Many people despised him. Many people were afraid of him. He was, in many ways, the real life Don Draper. He pulled himself up from an impoverished childhood to become a sought after corporate businessman. Most importantly, he loved me beyond all reason, beyond all imaginings, beyond anyone else…we were simpatico. I was his sun and moon and stars and he was my hero. I rode on his shoulders, I danced on his feet, he taught me to play poker, to swim, and to mix a perfect extra dry martini. Eventually he taught me to drink like a man while holding my liquor like a lady. He taught me to defend myself physically, intellectually, mentally, and emotionally. He told me I was beautiful and that he believed in me every single day of my life and while he was alive I almost believed it. I dedicate this recipe, this updated post, and this day to my dad. Enjoy. 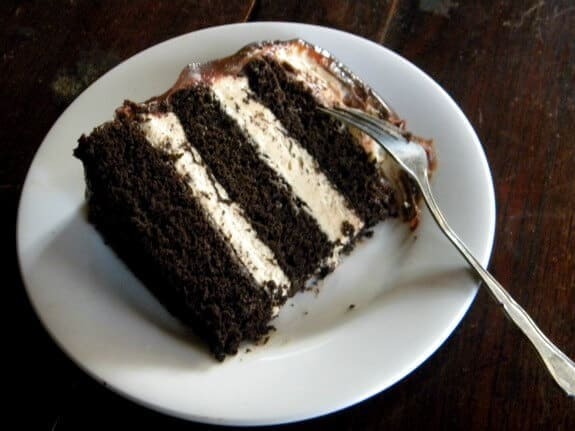 I couldn’t find a definite answer to my question about the origins of Chocolate Mayonnaise cake but most people believe that Hellman’s came up with it in the early half of the 1900s. I dust my cake pans for chocolate cake with cocoa. That way any cocoa that clings to the crust of the cake it the same color as the cake. Just do it the same way you do with white flour…spoon a little into a greased pan and shake it around until it covers all surfaces then dump it out. Once the layers have completely cooled brush them lightly with your hand to get the loose cocoa and any crumbs off. Put the first layer on the cake plate, spoon your frosting on and you are ready to go…. To my original cake I added a chocolate drip made with equal amounts of dark chocolate and heavy cream, heated to just a simmer and stirred smooth the poured over the chilled cake. I also added 1/2 cup of chopped pecans to the top. These additions are not reflected in the recipe or nutritional information. The frosting recipe was adapted from Sweetopia. SO good! Good cake pans are a must. I use high sided 8-inch cake pans for my cakes so if your cake pans have low sides you may need to make it 4 layers. These are my favorites, from Wilton. 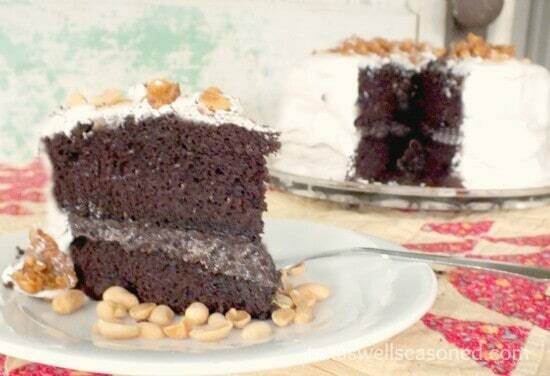 An old fashioned chocolate cake that's moist and tender with deep chocolate flavor. This is great for birthdays or Sunday dinners! Melt the chocolate in the microwave just until softened and you can stir it smooth - about 1 minute. Combine melted chocolate and cocoa in a bowl. Whisk in boiling coffee (or water) and whisk until the mixture is smooth. Set aside. Sift the flour, baking soda, baking powder, and salt into a bowl. Set aside. With a mixer beat the sugar and the mayonnaise until blended. Add eggs one at a time, and finally the egg yolk. Add the flour in four additions, alternately with the chocolate mixture. Divide batter evenly among the cake pans. Bake about 30 minutes or until a cake tester comes out clean. Cool cake for 20 minutes. Loosen cakes from sides of pans, turn out, and cool completely. In a bowl of stand mixer fitted with paddle attachment beat the butter on medium speed about 6 minutes or until pale and fluffy. Sift together the confectioners' sugar and cocoa powder. Add the confectioners' sugar mixture, beating until well blended. Continue beating on low and add the coffee, sour cream, vanilla, and salt. Increase the speed to medium and whip for 2 minutes. Add the melted chocolate and beat until smooth, about 2 minutes more. 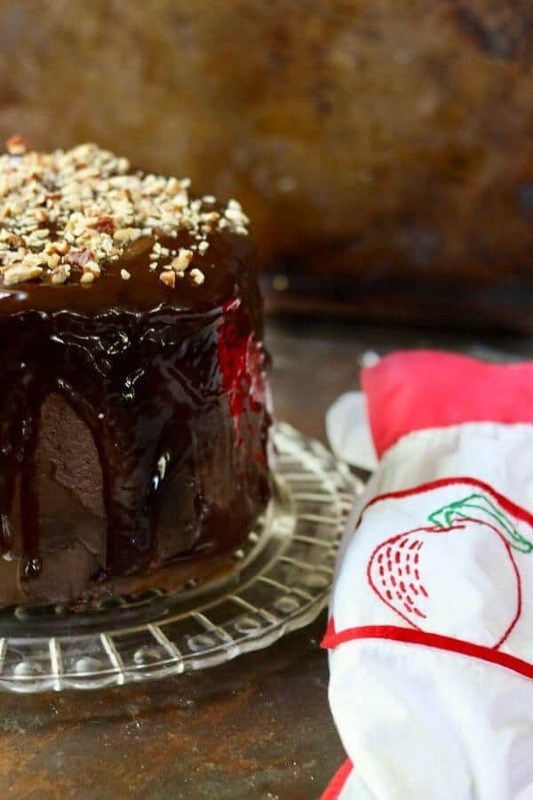 Does the chocolate mayonnaise cake need to be refrigerated? Is 2 1/4 cup of butter a typo? Wow, the new photos of the cakes look AMAZING! Such huge progress (the old photos do also look quite delicious too FYI). 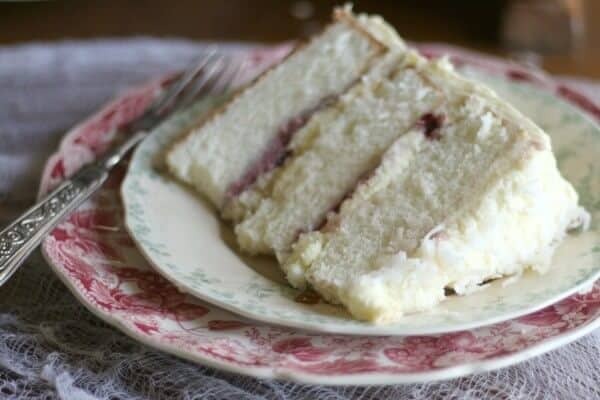 Close, but not quite my grandmother’s mayonnaise cake recipe… truly a nommy delight. Mary – how much salt should we use? Jonica – they would make great cupcakes.